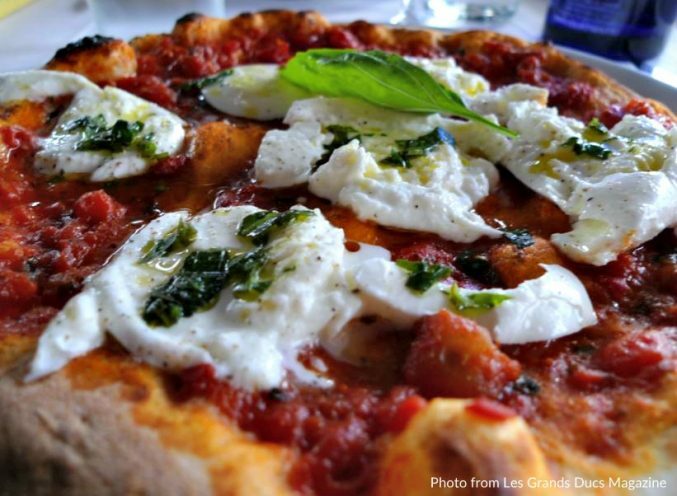 I'd travel pretty far taste Pizza Chic's super delicious pizza dough and their soft pillows of fresh mozzarella! The name of the restaurant Pizza Chic is misleading. You would think it’s all about appearances and style, while this could not be farther from the truth! The artisans behind the scene carefully prepare the dough at least 5 days in advance by letting it slowly rise and ferment to perfection! Never have I tasted better pizza dough! The same can be said of the mozzarella cheese which tasted so soft and creamy atop my pizza. Utter delight! The atmosphere at Pizza Chic, in the 6th arrondissement, is nonetheless very chic. It has a hint of New York sophistication with the warmth of Italy. You should also take a peak at the toilets, which are very tastefully done, even if it’s a tad hot in there because they are behind the pizza ovens. I’d recommend making a reservation at Pizza Chic since it can get very busy!.